Explore Nunavut - Kitikmeot Region - Explore Canada's arctic! 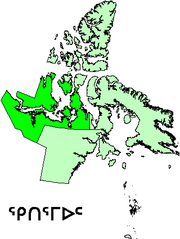 Kitikmeot Region is a region of Nunavut. It consists of the southern and eastern parts of Victoria Island with the adjacent part of the mainland as far as the Boothia peninsula, together with King William Island and the southern portion of Prince of Wales Island.